South Africa displays a vastly diverse landscape dominated by the mountains of the Great Escarpment, encircling the interior plateau and descending to the oceans, which make up a considerable extent of the country’s border. Due to its geographical and climatic history, this varied environment encompasses nine vegetation biomes represented to various extents across the region (SANBI 2007). In turn, these biomes establish the foundation allowing for the rich assortment of habitats for which South Africa is known. The level to which these habitats have been left intact is up for contention as the far-reaching impact of human activity has acted to immeasurably alter the form and function of these environments. This landscape transformation, which has significant effects on biodiversity, relates to the modification of the natural environment in such a way that a previously continuous habitat results in one which is separated into several smaller and more isolated pockets. This concept is known as habitat fragmentation (Simberloff 2000). Angora goats – Farming has significantly impacted the landscape. 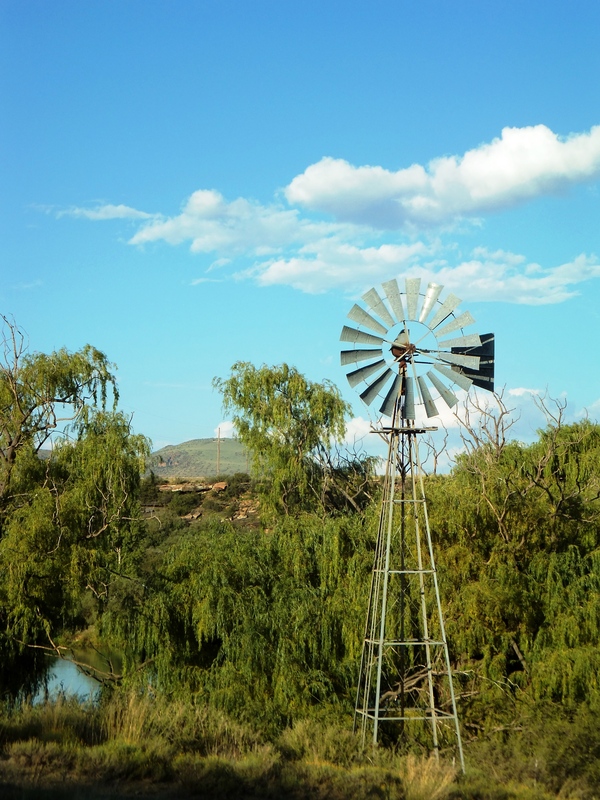 The windmill – a sight synonymous with a transformed Karoo. There are various ways in which to mitigate the impact of such large-scale landscape transformation. Isolated habitat pockets interconnected via vegetation corridors, increase biodiversity within the patches. In addition, this acts to strengthen the gene pool through increased gene flow and therefore marginally mitigates the destructive effects of habitat fragmentation (Damschen et al. 2006). This has become a vital objective within the conservation sector with the vision of the Peace Parks Foundation being one of a network of protected areas connecting ecosystems across international borders (Peace Parks Foundation 2013). On a local scale the simple establishment of indigenous vegetation in order to connect fragments within the transformed habitat could aid in repairing the damage inflicted through destructive actions. The Plains of Camdeboo – Eve Palmer beautifully sums up the life in this charismatic region in her book of the same name. 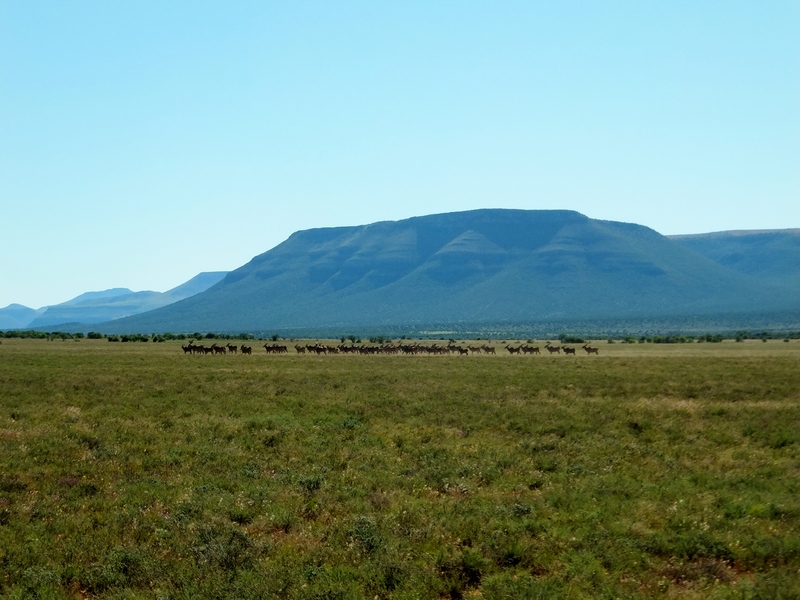 A herd of eland (Taurotragus oryx) navigating the plains to the backdrop of a classic “Karoo Koppie”. This patchwork-quilt effect of transformed and intact vegetation is evident in the vast empty spaces of South Africa’s Karoo region. 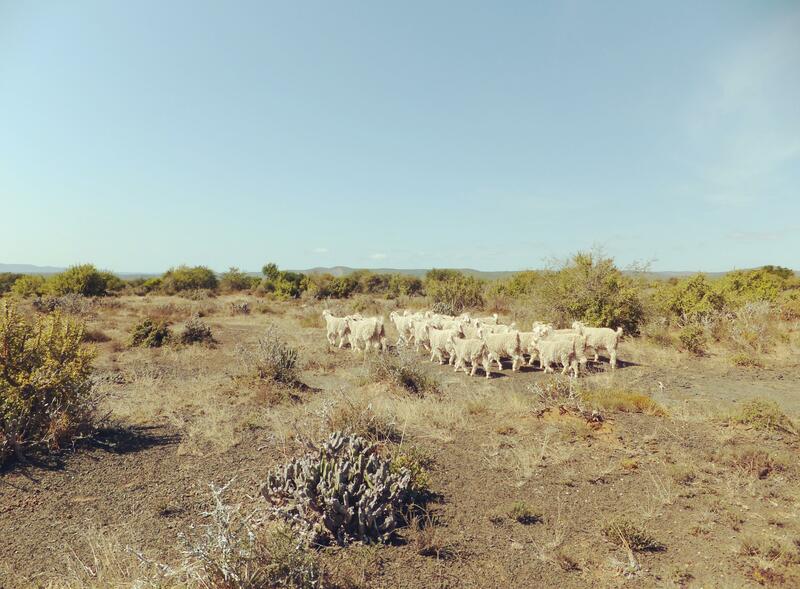 Sheep and goat farming in this arid environment has drastically altered the historic Karoo landscape. 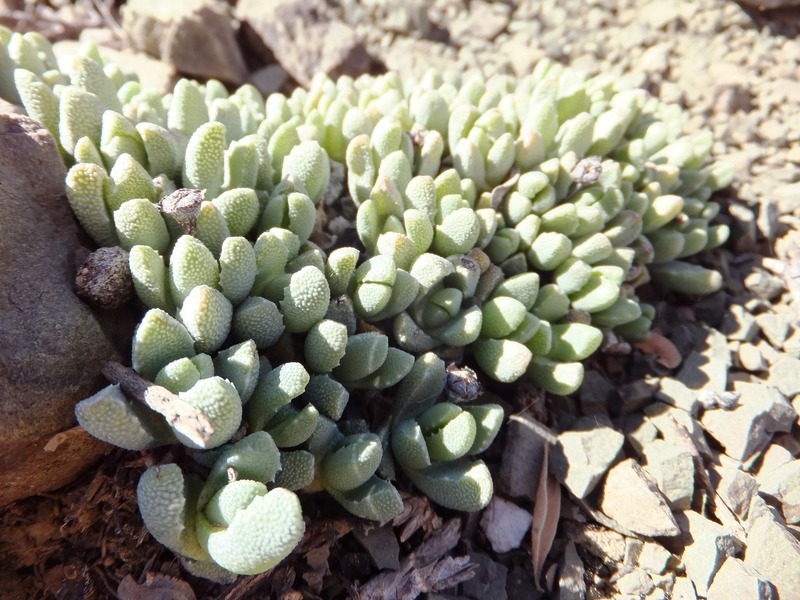 Its hidden treasures of the charismatic squat little fleshy plants that are hidden in crevices or hugging the hard, dry unforgiving earth has shifted to the monotonous grey scrub so common in its association with transformed habitat. Gone are the splashes of magnificent colour that blanket endless expanses of land bringing the Karoo alive after the rains. Gone are the majestic springbok migrations that transform the once desolate valleys to a writhing, snorting mass of pronking bokkies. Gone are the days that exploring the uncharted vastness ended in surprised triumph when emerging the merciless dust bowl unscathed and able to relay tales of sleeping under the untainted sky of an inky black canvass disrupted only by the dancing twinkles of celestial bodies and of the great black-maned lions prowling the impenetrable darkness of night. The Karoo can be an unforgiving place! 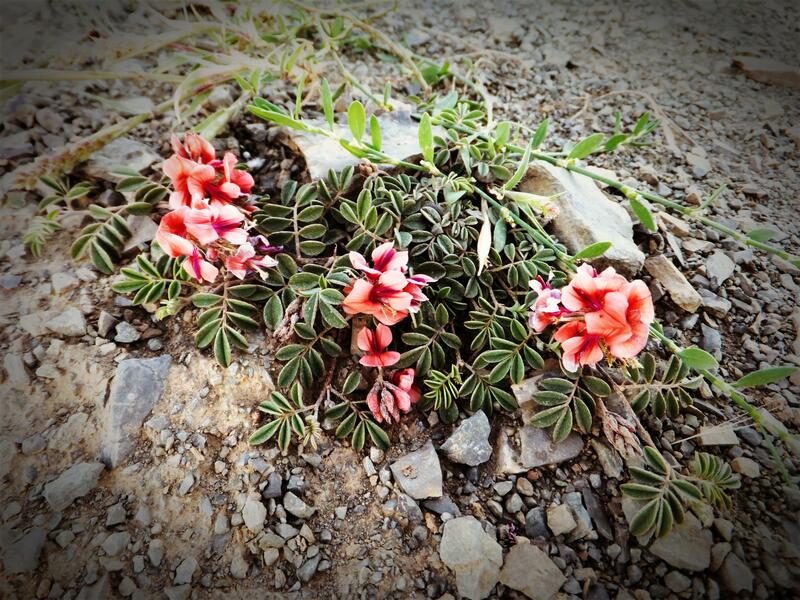 A burst of colour surviving in the dry, pebbly earth of the Karoo. 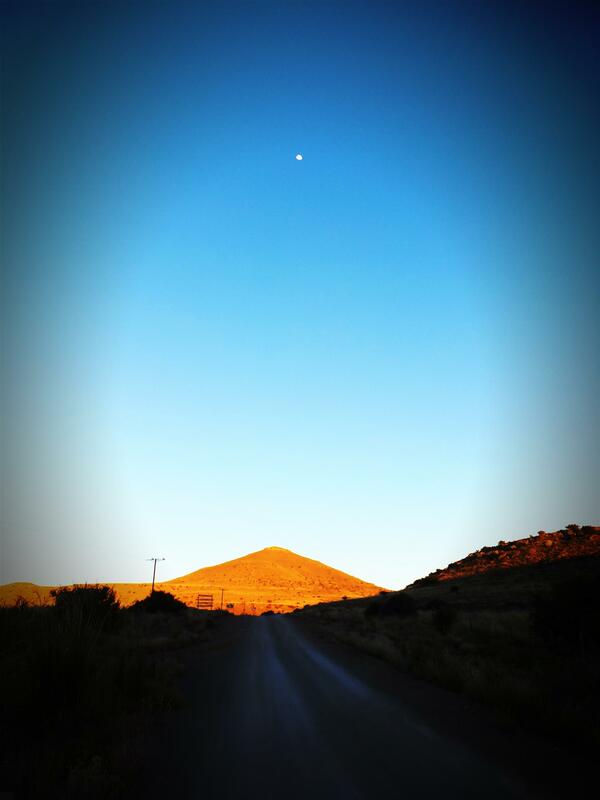 Karoo sunrise with the moon still in sight. 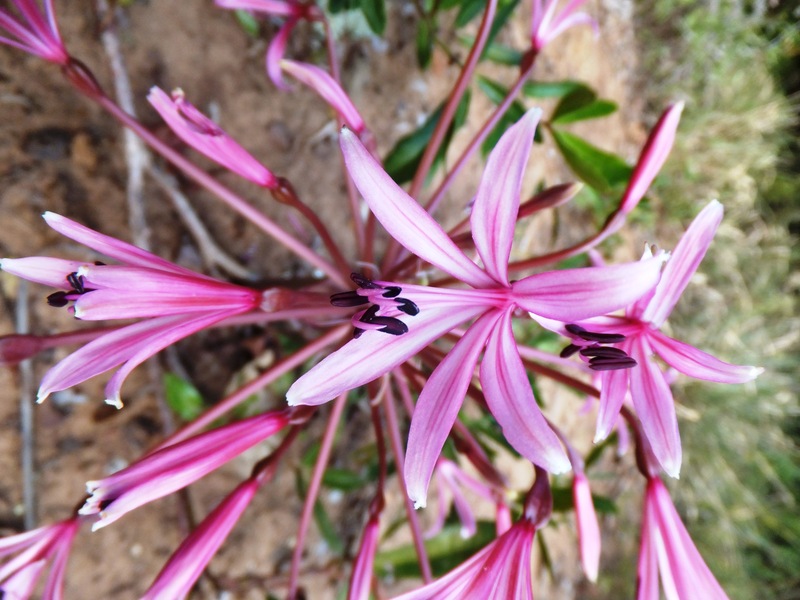 Giant candelabra lily (Brunsvigia grandiflora). While these enigmatic lands have been fragmented and transformed through the construction of fencing and the introduction of alien and invasive species, the ancient Karoo still holds many secrets awaiting discovery by an intrepid explorer. From the delightful little determined flowers to the fossils that lie buried in the sediments of ancient river beds from the breath-taking beauty of the striking landscapes of gorged valleys punctuated by towering “Karoo Koppies” to the cryptic creatures scurrying between shrubs in search of food; they are all elements of a unique existence, the very essence of which is carried on the hot dry winds that propel the rolling tumbleweeds down the dusty streets of rural towns and travel cross-country finally fusing with the salty ocean air. There are corners of the Karoo that still possess this unbridled magic, albeit only in confined pockets. Eeeek!! 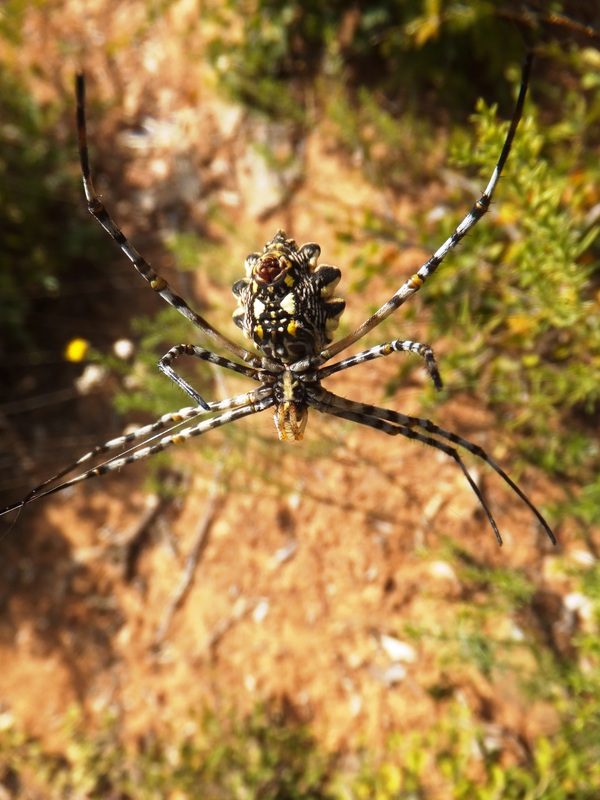 Yellow-and-black striped garden spider (Argiope australis). 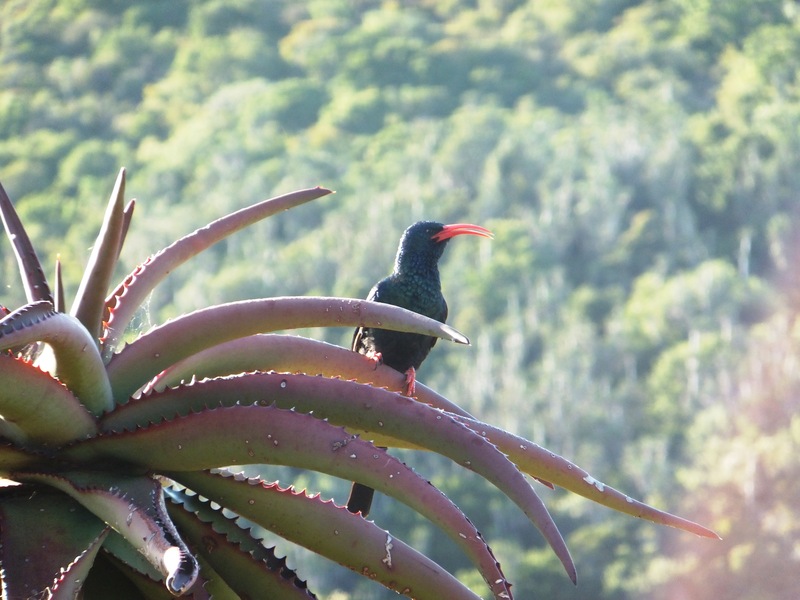 Green wood-hoopoe (Phoeniculus purpureus) perched on an Aloe ferox. 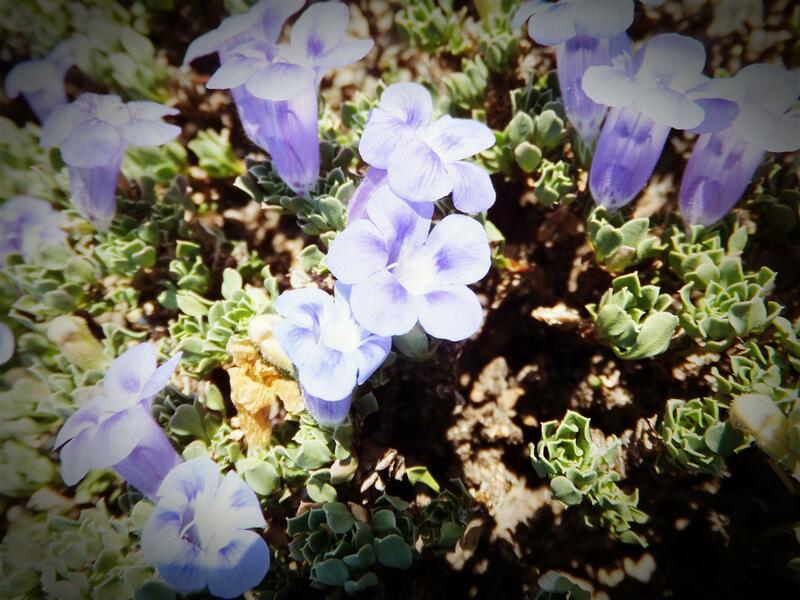 Another earth-hugging plant with its beautiful flowers adding to the Karoo palette. A lizard possibly from the Agama genus. 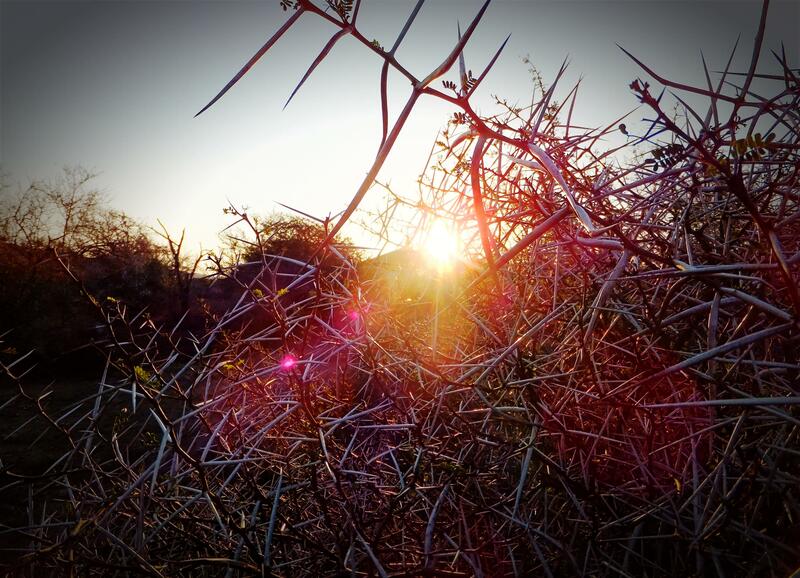 Sunrise seen through the thorns of the Acacia karroo. The Karoo is classed as semi-desert, although there is no definitive description of what constitutes “Karoo” resulting in its exact boundaries not being accurately defined. 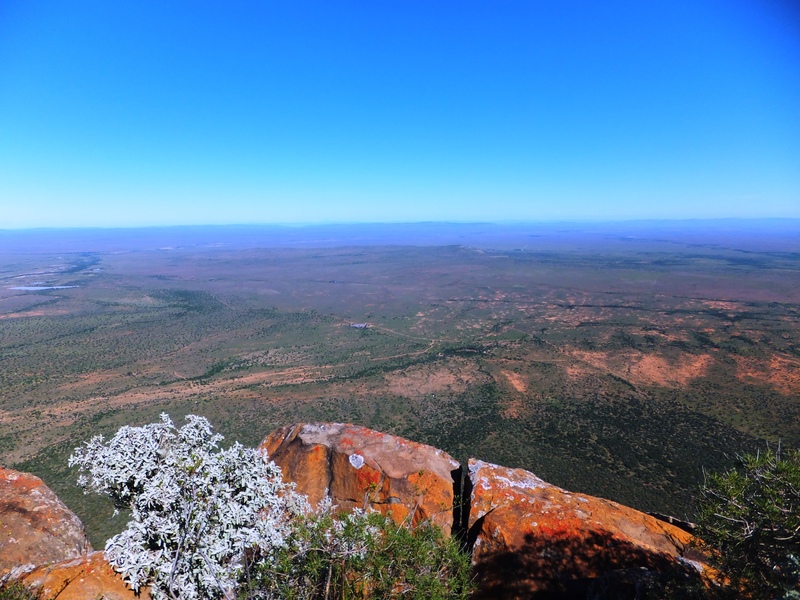 Using the geological formation of the Cape Fold Belt as a general guide, the Karoo can be split into the Great Karoo of the central interior, dominated by the Nama Karoo biome, and the Little Karoo to the south, dominated by the Succulent Karoo biome. 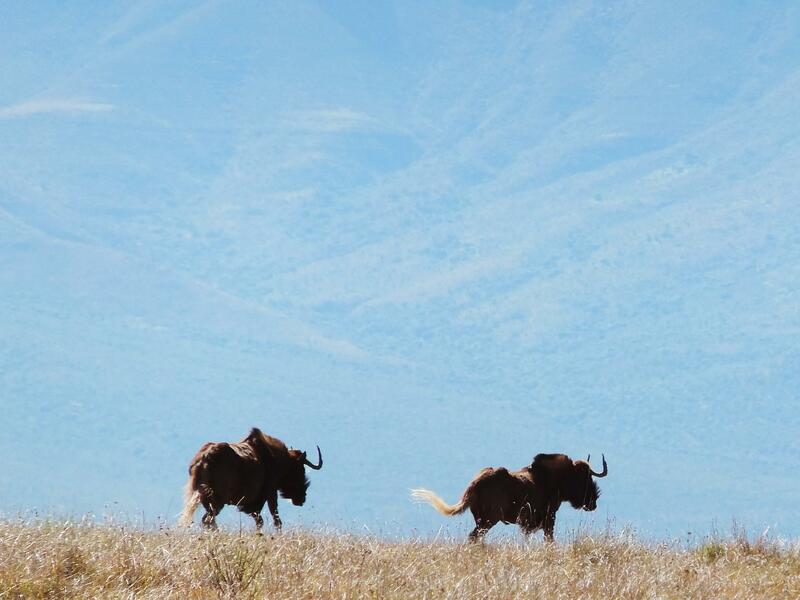 Both regions are dotted with nature reserves falling under the jurisdiction of both CapeNature and SANParks. 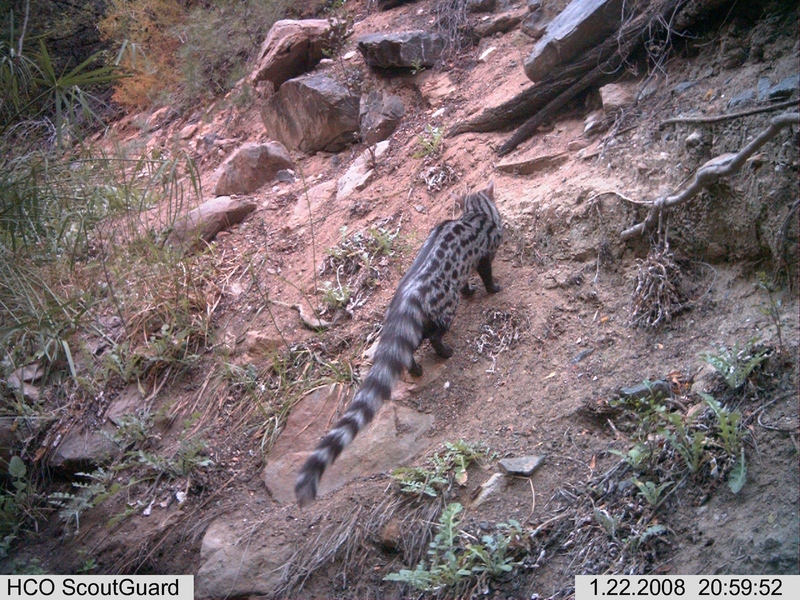 In 2013, CapeNature procured a tract of land, made up of five former farms, sandwiched between the Anysberg and Groot Swartberg Nature Reserves in an attempt to extend the protected range of the leopard (Panthera pardus) from several isolated pockets to an almost continuous roaming habitat stretching from Anysberg in the west to Baviaanskloof Nature Reserve in the east, totalling nearly 300 km. 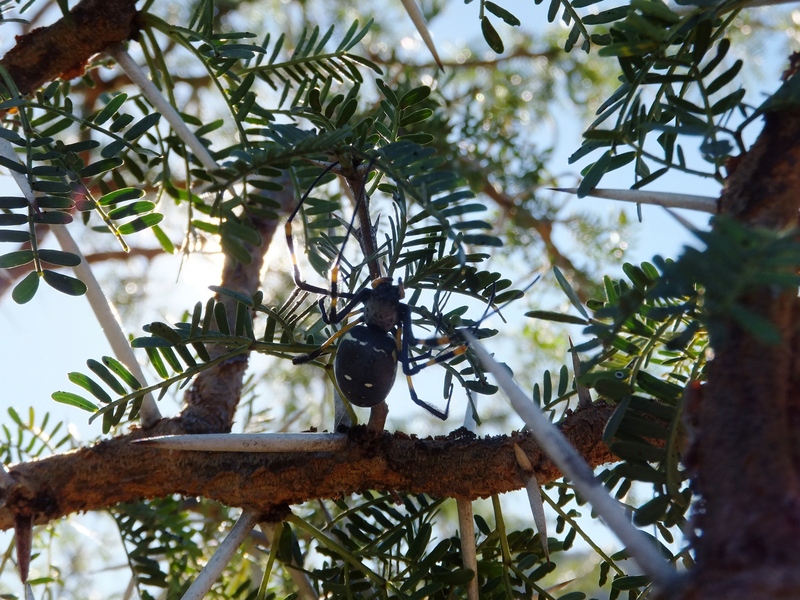 Spider awaiting its prey in an Acacia tree. 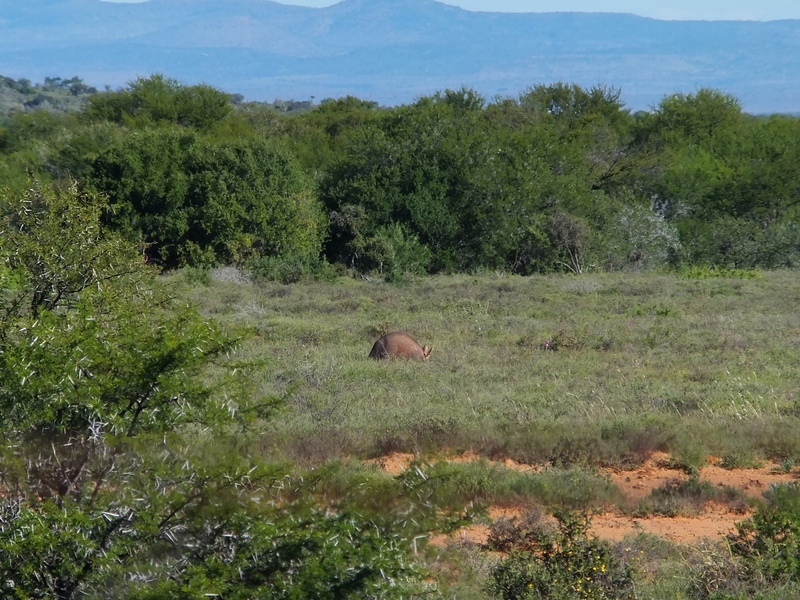 Foraging aardvark (Orycteropus afer) easily confused with a termite mound… with ears! It is not only the national conservation bodies that are attempting to restore the former magic of the Karoo but also the individual landowners who refuse to allow the way in which they utilise their land to contribute to the spiralling vortex of habitat destruction but rather to allow it to revert back to the natural vegetation characteristic of the region. Simple practices such as leaving gates open between properties, not fixing fence holes, dropping fences altogether, allowing uninhibited access to watercourses from all directions, limiting future disturbances to the landscape and allowing the indigenous plant species to recover and dominate. 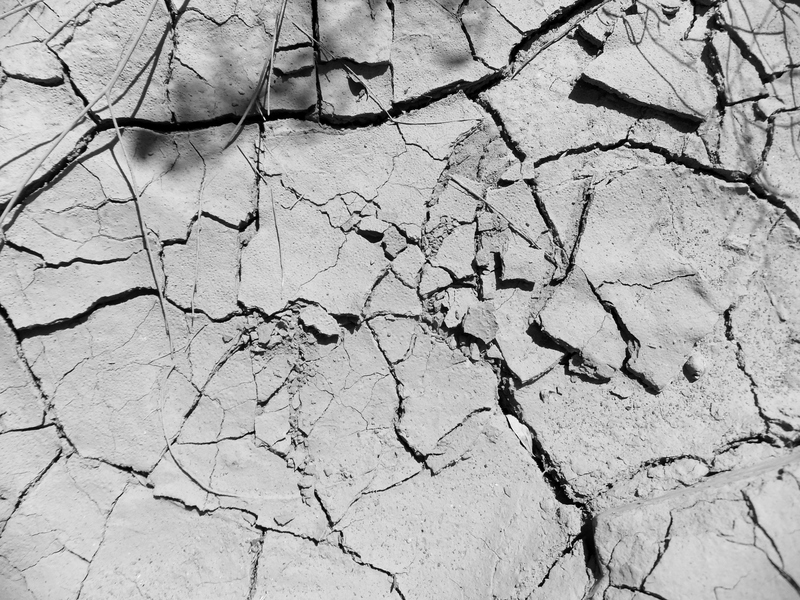 While some of these actions are relatively simple to undertake, it could take several decades before the land is reverted to its truly natural state. This is due to the degree of impact caused by certain activities, such as overgrazing, together with the recovery time required by particular species which could be further prolonged by the unpredictable rains experienced by the region. 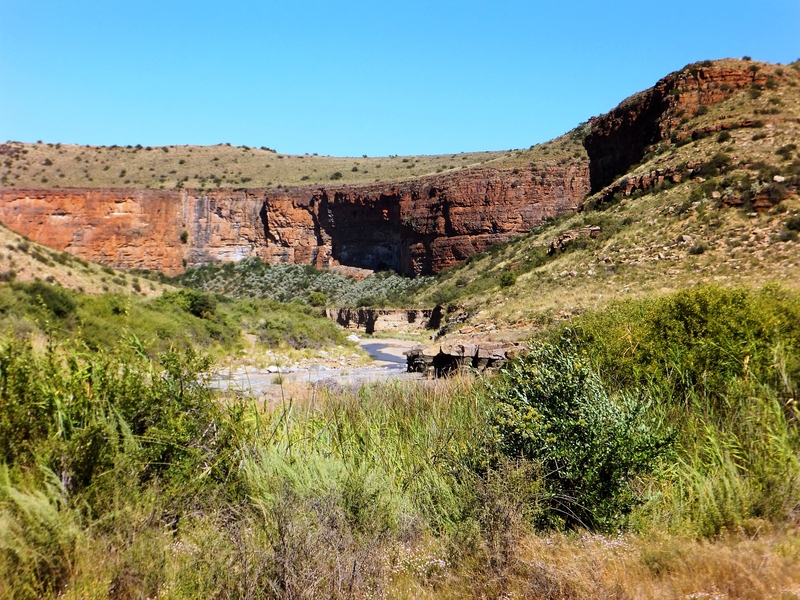 Taking a wander in the Karoo, be it along the banks of one of its lush waterways or over its pebbly interior, can captivate one’s imagination of past expeditions and palaeontological excursions as well as unearth a surprising diversity of life. 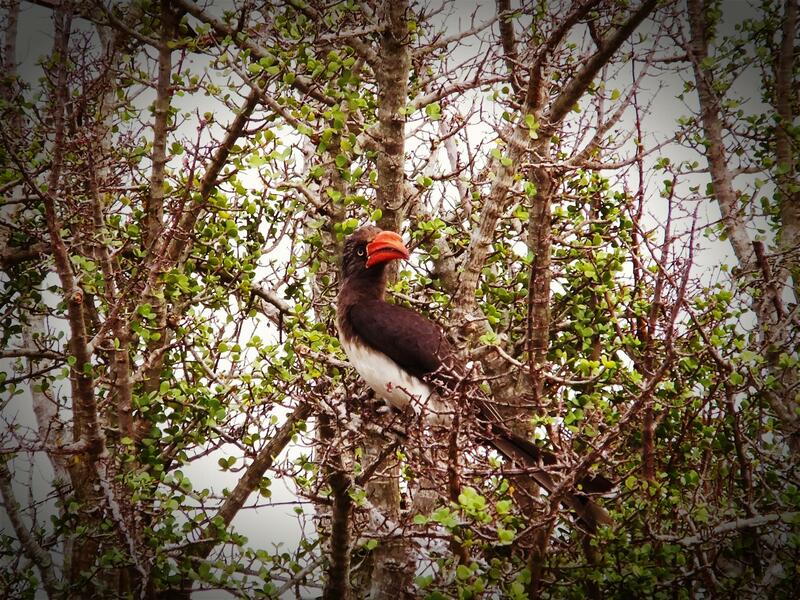 Crowned hornbill (Tockus alboterminatus) roosting in spekboom (Portulacaria afra). White-tailed gnu/black wildebeest (Connochaetes gnou). 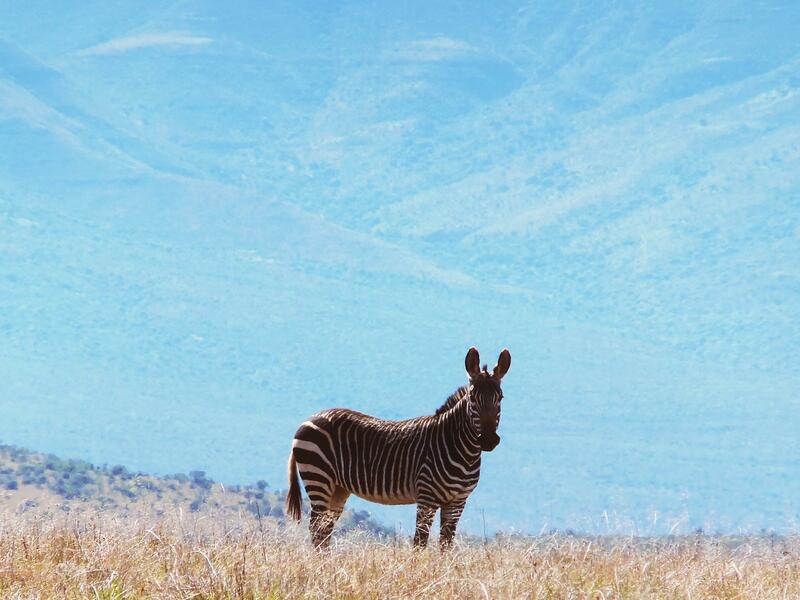 Cape mountain zebra (Equus zebra zebra) – IUCN status of Vulnerable. 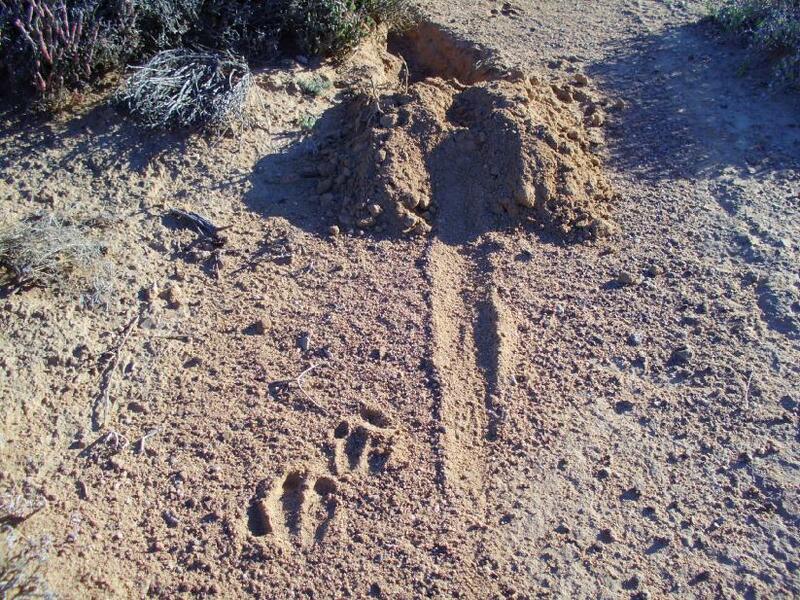 Not all of the Karoo’s secrets are as easily uncovered, the more elusive animals only leaving traces of their cryptic existence across the landscape. 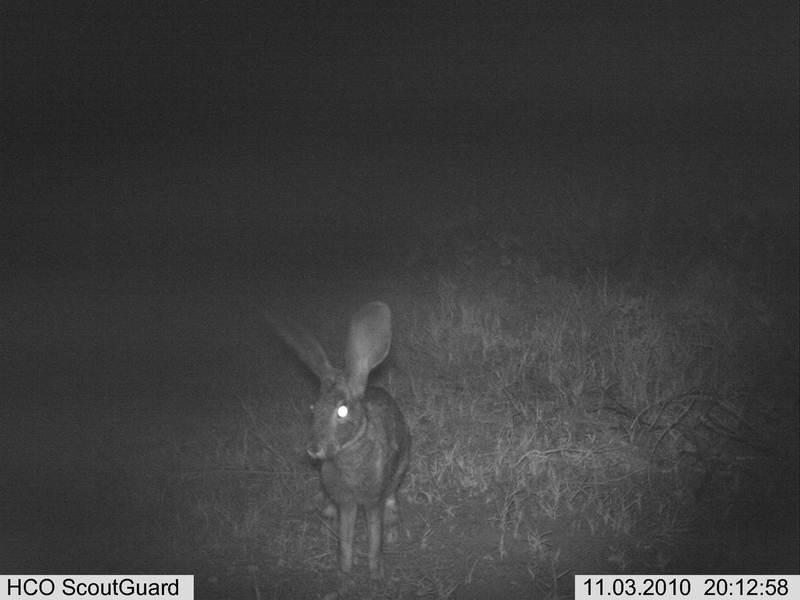 There are many ways in which to explore the world of these enigmatic creatures, being on the lookout for spoor and other evidence (such as droppings and nests) when in the field will inform on the presence and movements of various species while camera traps offer us a window into their existence. 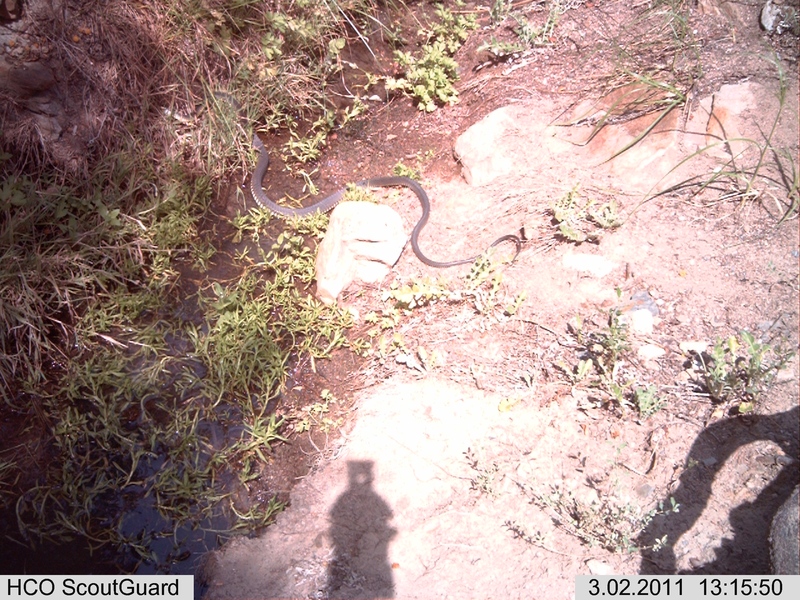 When attempting to determine which species inhabit your land, the best approach to adopt is to use the presence of naturally occurring water sources, defined paths, spoor and other evidence such as burrows, nests and droppings to decide on the optimum position for your camera trap. There are various options with regards to camera types and features that are available, all dependent on your desired output; including resolution, flash type, casing, memory, shot mode, video… the list is endless so your best bet would be to get hold of a company (such as Camera Traps cc) informing them of your requirements. Aardvark spoor and burrow (Cathy Kleyn). 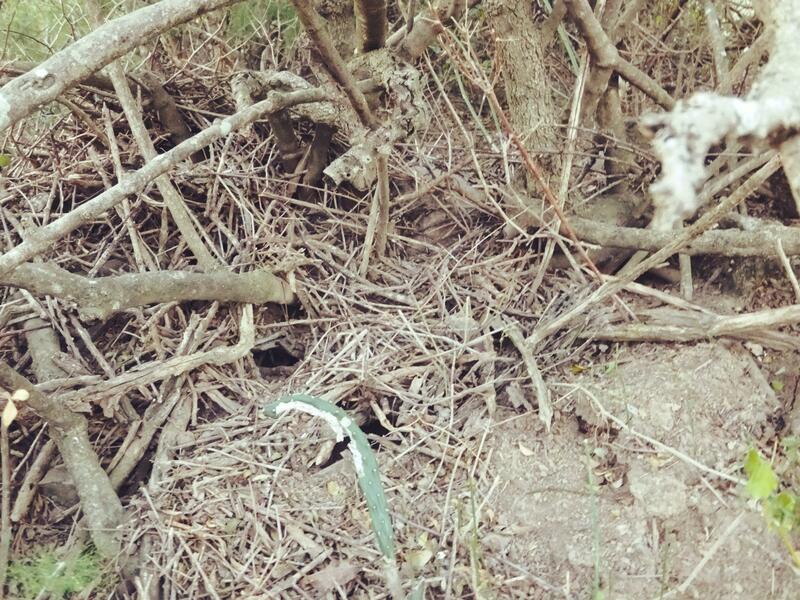 The burrow of a bush Karoo rat (Otomys unisulcatus). 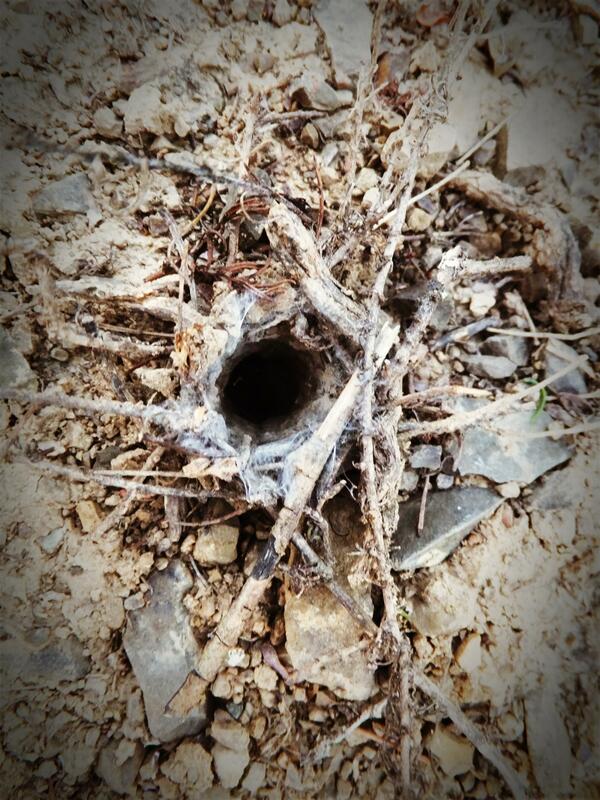 The burrow of a spider species. Knowing what occurs on your land will better equip you in managing the habitat more effectively and with a more sustainable outcome. Organisations such as the Cape Leopard Trust not only monitor the leopards of the Western Cape region, their by-line being “Research, Education, Conservation”, but also attempt to mitigate the conflicts between humans and these iconic creatures through their Karoo PEACE Project – Predator Ecology And Coexistence Experience. Initiatives, such as those utilising Anatolian Shepards as livestock guardians to reduce depredation, promote a peaceful coexistence between predators and landowners, encouraging a sustainable future for the region. 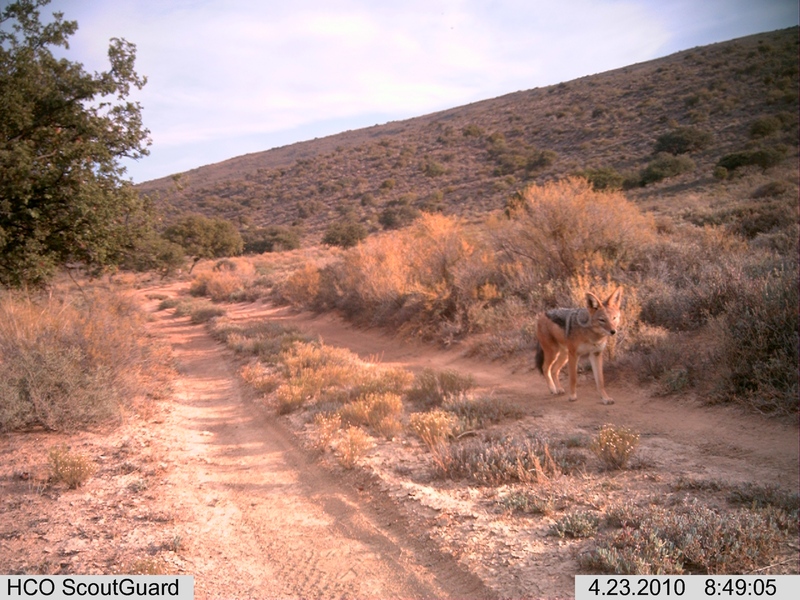 Currently, both the caracal (Caracal caracal) and the black-backed jackal (Canis mesomelas) populations are being negatively impacted as a result of these animal-farmer conflicts. Once the cameras are up and running, after much hilarity-induced troubleshooting, you will have copious amounts of photographs ranging from the cheeky chacma baboons (Papio ursinus) checking out the shiny camera lens to the shy steenbok (Raphicerus campestris) nibbling on the leaves of low-lying shrubs and to those photos detailing the secretive lives of the most elusive creatures inhabiting your land. 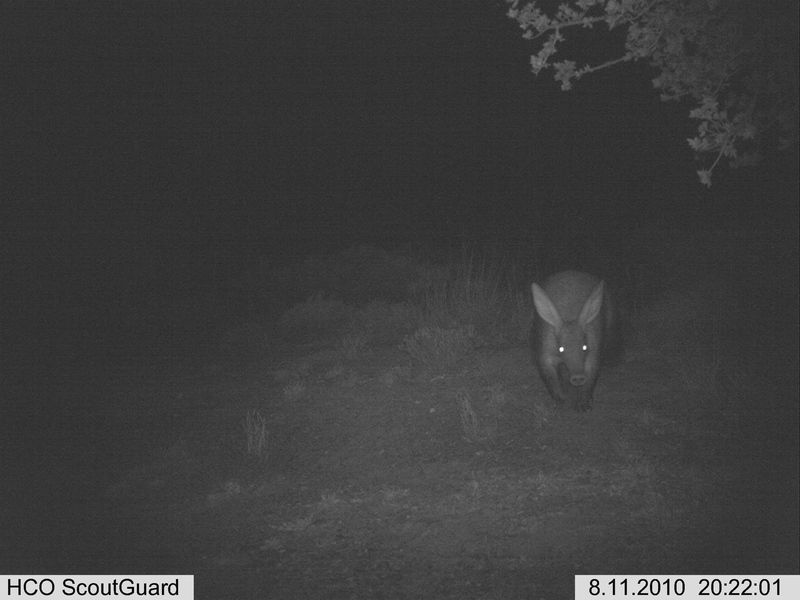 I was given the awesome opportunity to share in the delights of Karoo camera trapping by a cousin who owns a rugged piece of Little Karoo landscape that is currently still undergoing rehabilitation, even though it was last grazed by damara sheep over thirteen years ago. She and her husband have allowed the land to begin the process of recovery and of reverting to its original state, however intact that may be. They have minimised their impact by utilising the already disturbed areas of the property and making use of solar and wind energy as well as bringing in their firewood, opting to rather leave the fallen branches/trees in situ as they support a vast insect community and contribute to compost. 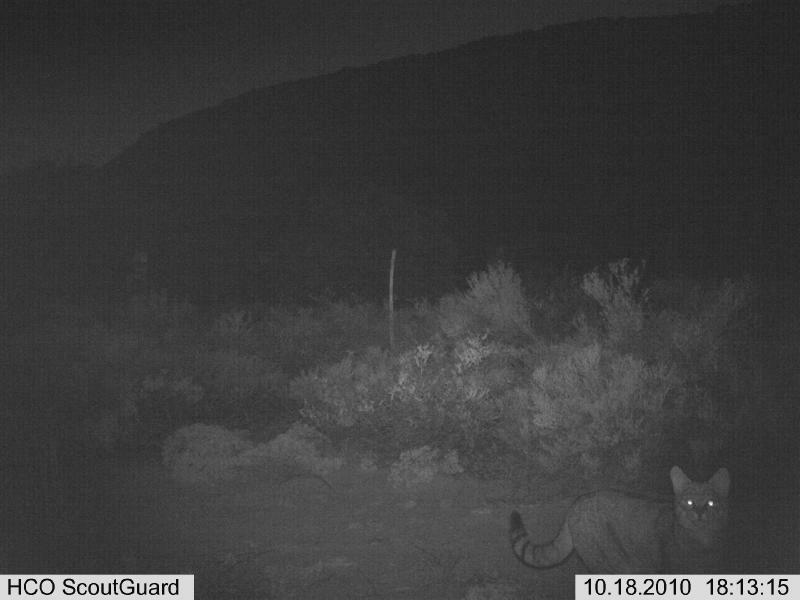 In order to satisfy their justified curiosity they obtained a camera trap that they moved between locations that were deemed appropriate. 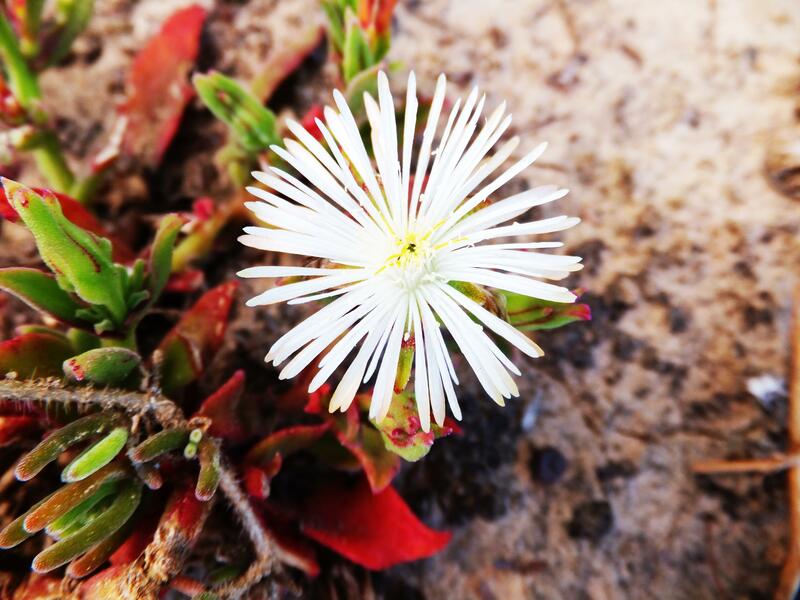 During their time in the Karoo, Cathy and John have documented a diverse collection of species, some of which can be found below. 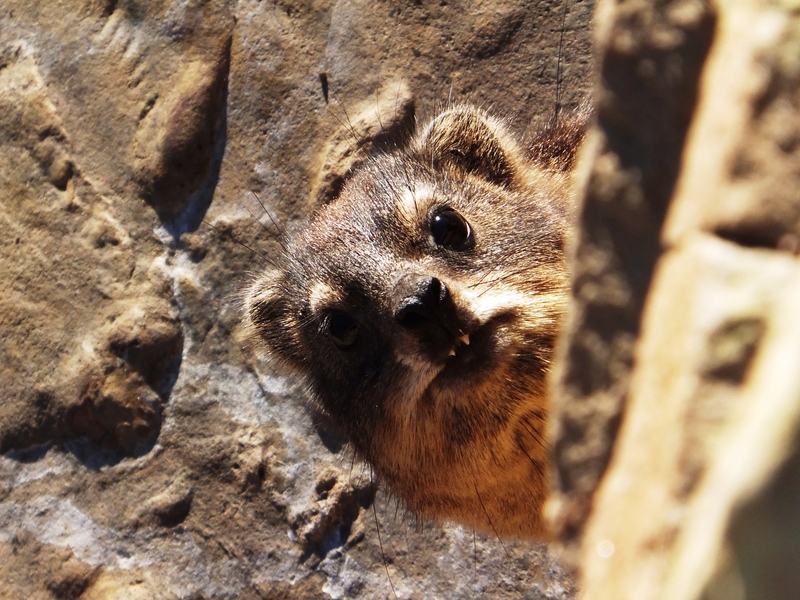 This highlights the all-important fact that just because you can’t see the animals does not mean that nothing inhabits your land; it just means that you have the rare opportunity to discover some of the Karoo’s best kept secrets. 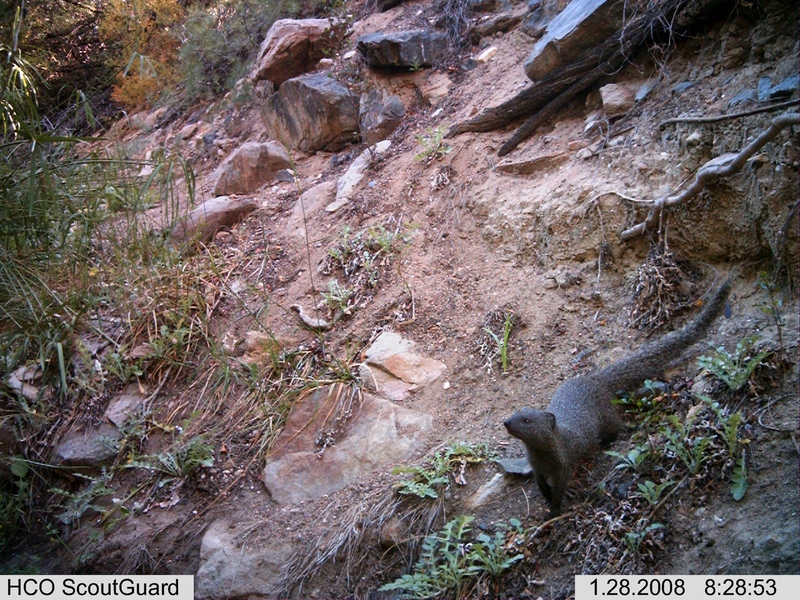 Cape grey mongoose (Galerella pulverolenta) investigating a small stream. 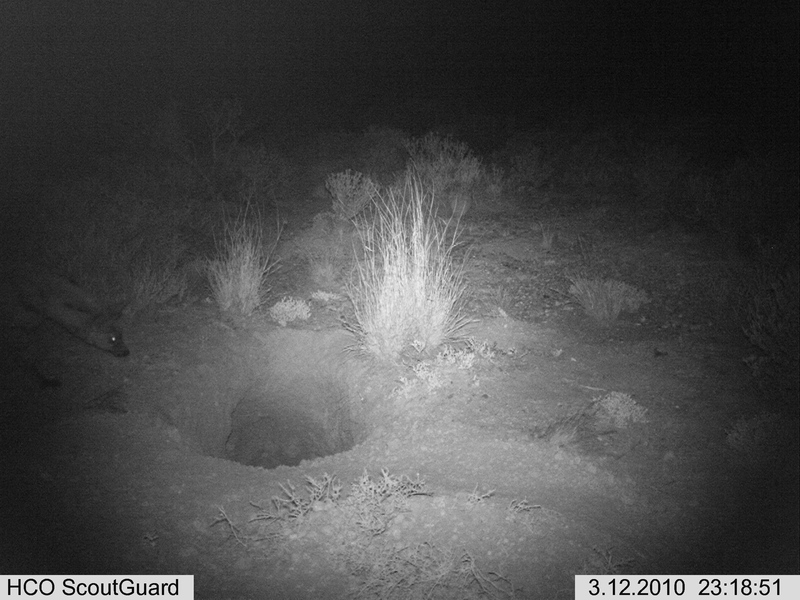 Aardwolf (Proteles cristatus) checking out an aardvark hole. African wild cat (Felis silvestris lybica), known to the Kleyns by its devil-may-care attitude and its “Cheshire Cat” grin when curled up in the branches of a nearby tree. 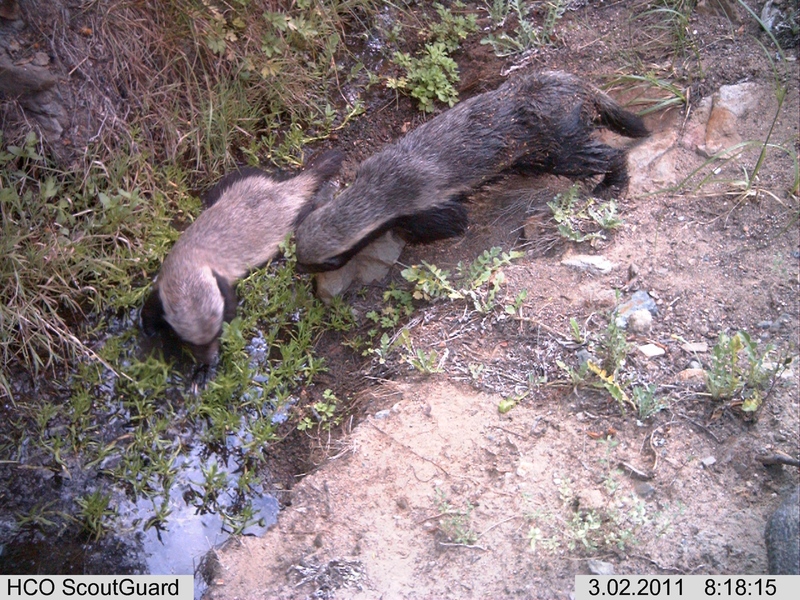 A pair of tenacious honey badgers (Mellivora capensis). Steenbok (Raphicerus campestris) making use of a hole in the fence to move between properties. 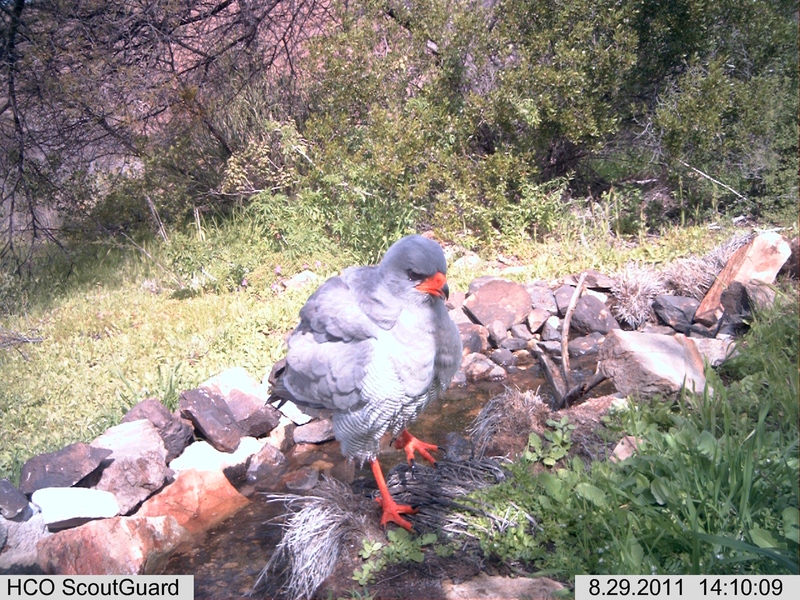 A rather annoyed looking pale chanting goshawk (Melierax canorus) having a bath. 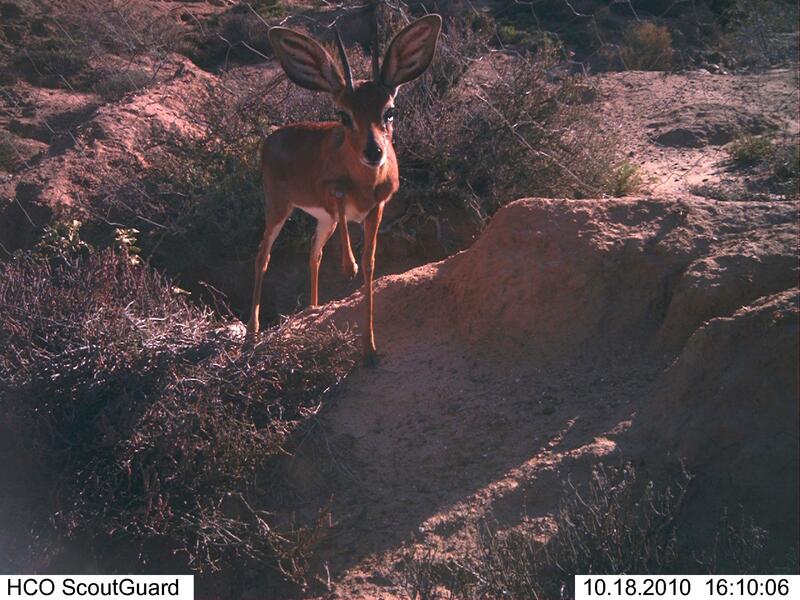 I would like to thank Cathy and John Kleyn for the use of their camera-trap photographs. A special thanks goes to Cathy for being as enthusiastic as I was about this piece and for being available to answer all of my numerous questions, even when having to grab a scrap of signal while perched on a koppie somewhere out in the wilds of the Karoo! DAMSCHEN EI, HADDAD NM, ORROCK JL, TEWKSBURY JJ & LEVEY DJ. 2006. Corridors Increase Plant Species Richness at Large Scales. Science 313(5791): 1284-1286. PEACE PARKS FOUNDATION. 2013. [ONLINE] Available at: http://www.peaceparks.co.za/. SIMBERLOFF D. 2000. 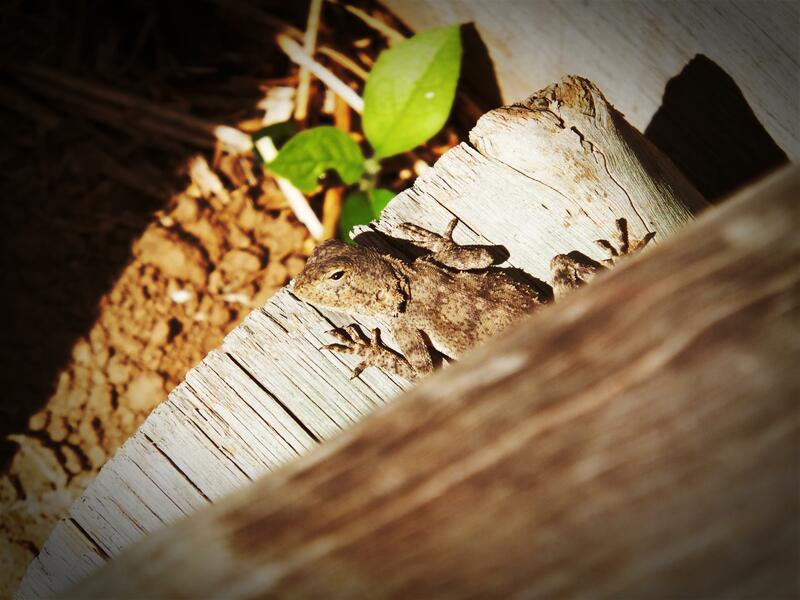 What do we really know about Habitat Fragmentation? Texas Journal of Science 52: 5-22.